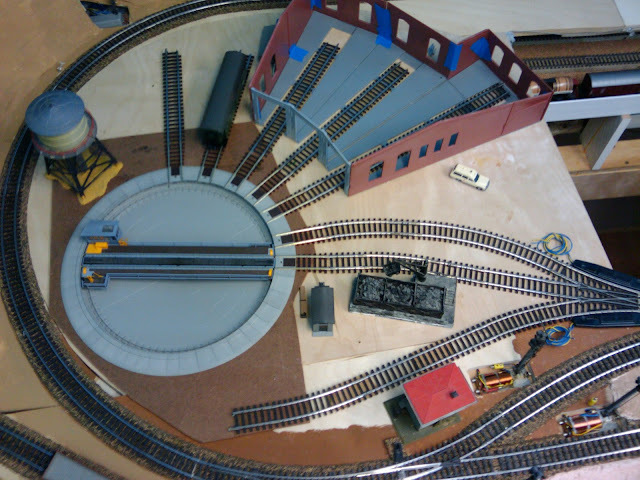 I originally intended to use Flextrack to build the two tracks leading from the 3-way switch to the turntable. Which means, I wouldn't use the engine facility for quite a while. Last night I built a temporary connection from sectional track and for the first time ran an engine from Emsingen to the turntable and back. Things are starting to come together.